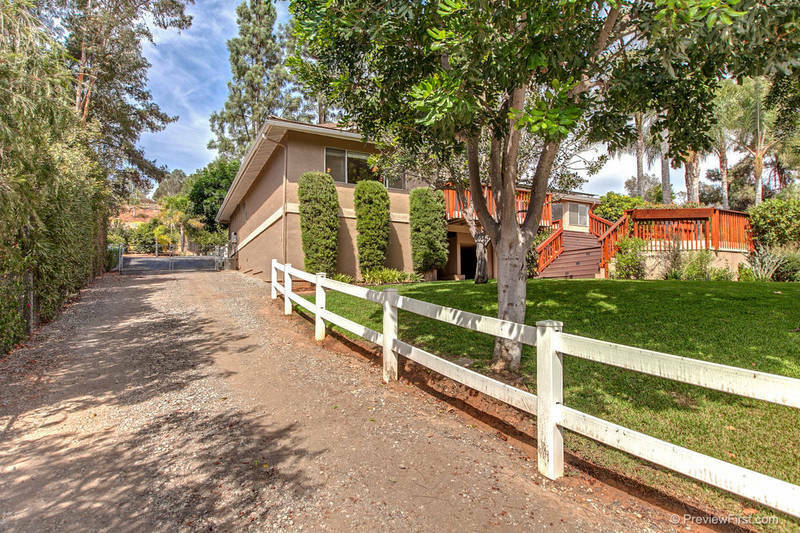 Serene Wooded Retreat On Quiet Cul-De-Sac. 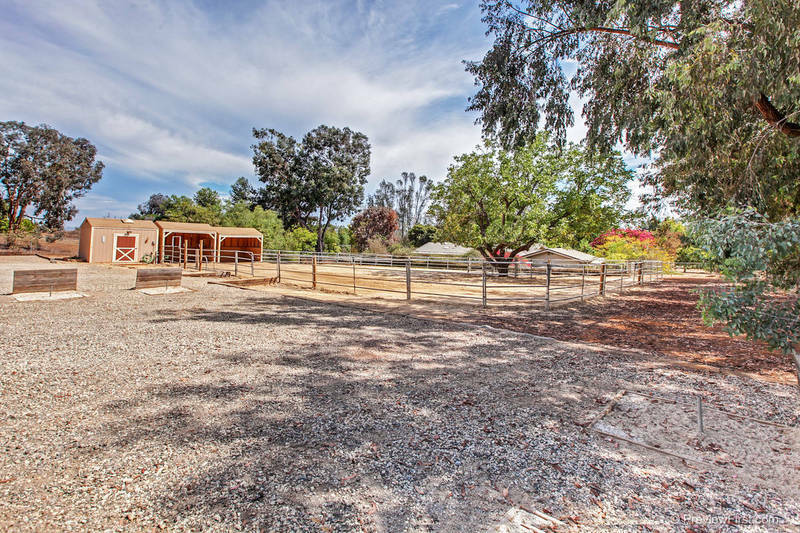 Single level home on 1 acre for you & your horses. 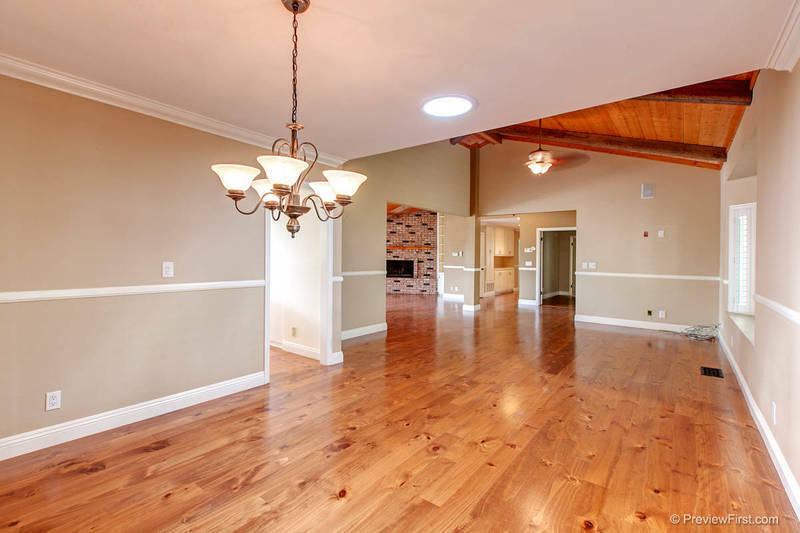 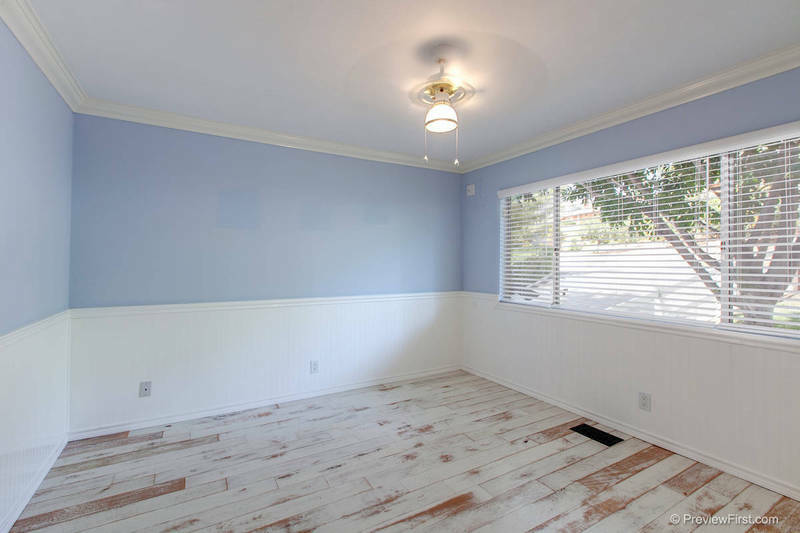 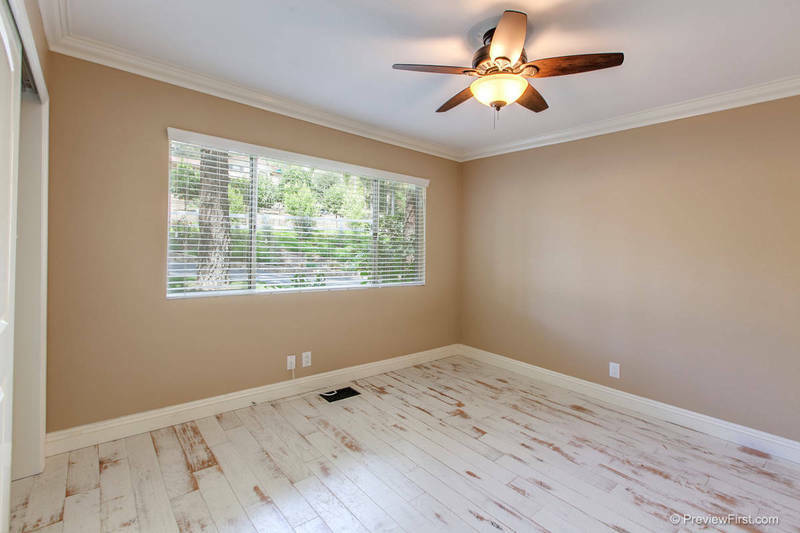 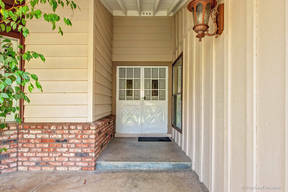 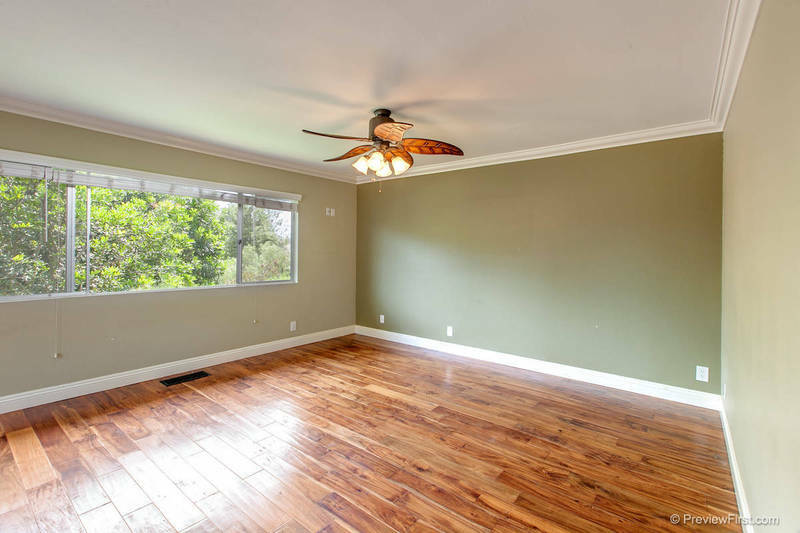 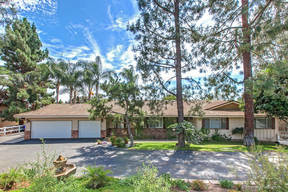 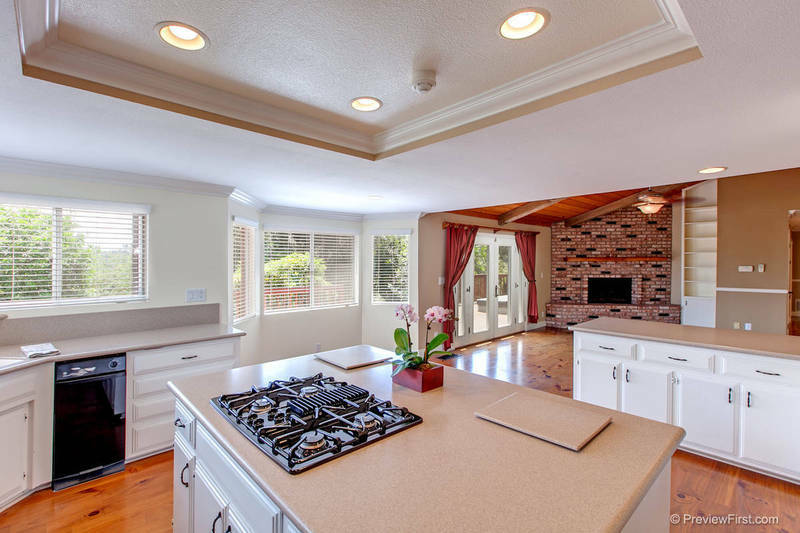 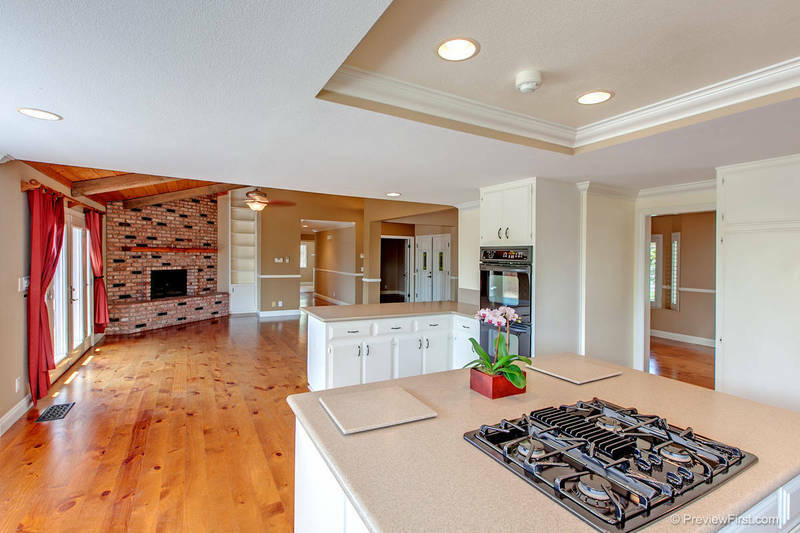 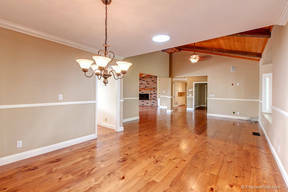 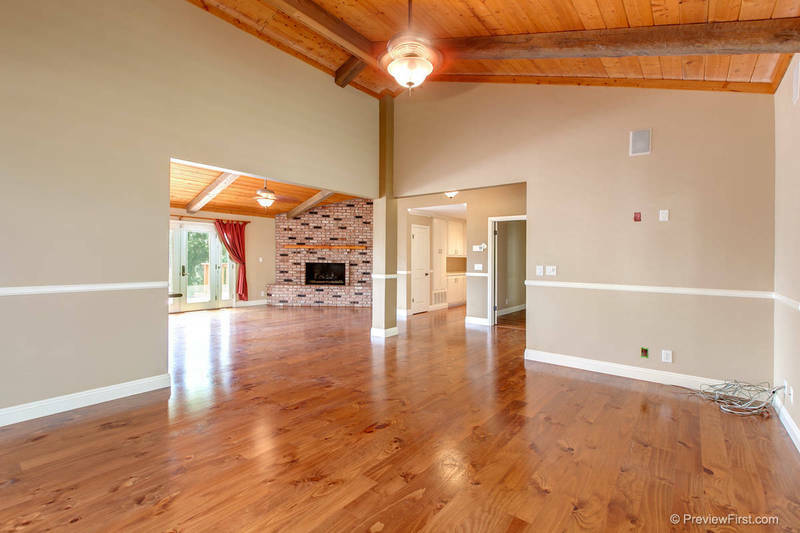 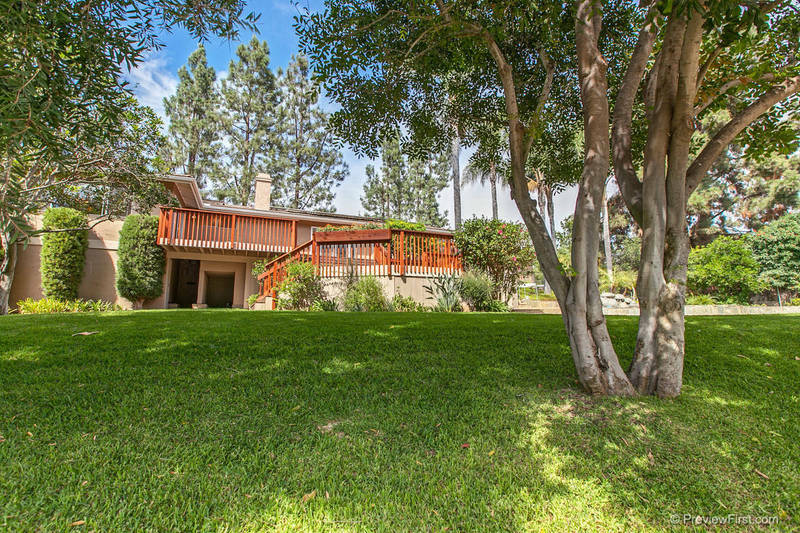 Light & bright, remodeled 03, vaulted wood beamed ceilings. Heart of the home is the great room - perfect for entreating family & friends. 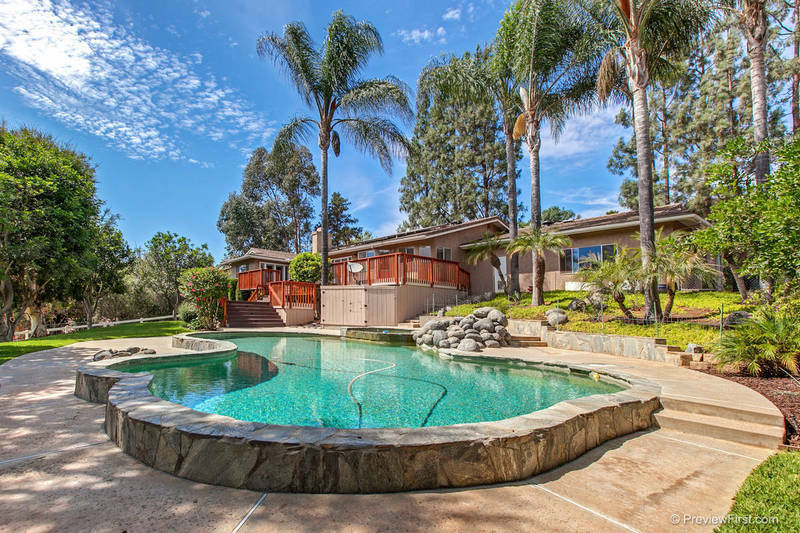 The Pool has Pebble Tec surface and natural rock waterfall that fits so naturally into the country setting. 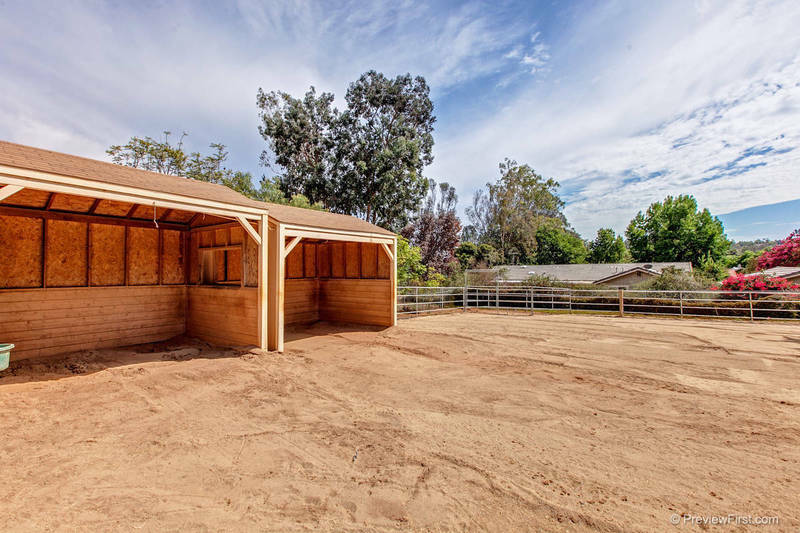 Horse Facilities: (2) three-sided enclosures with separate tack/feed room & large turnout with lovely shade tree. 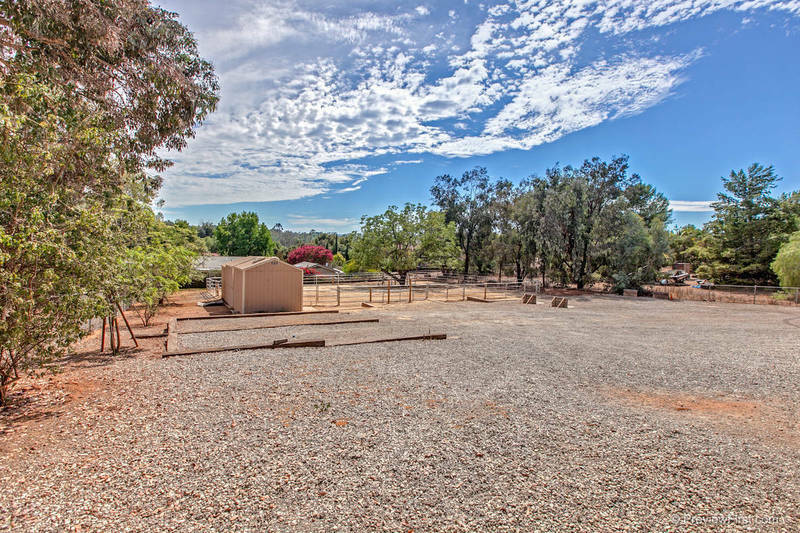 Plenty of room for horse trailer & turn around space., Secluded Yet Conveniently Close To All! 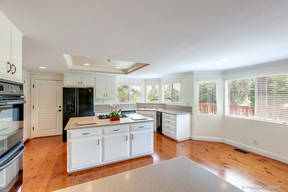 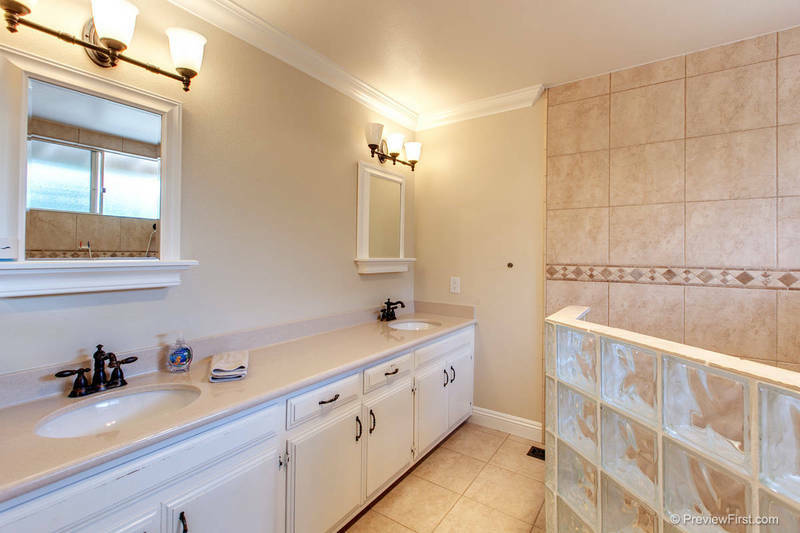 Beautiful and private custom built home in cul-de-sac neighborhood. 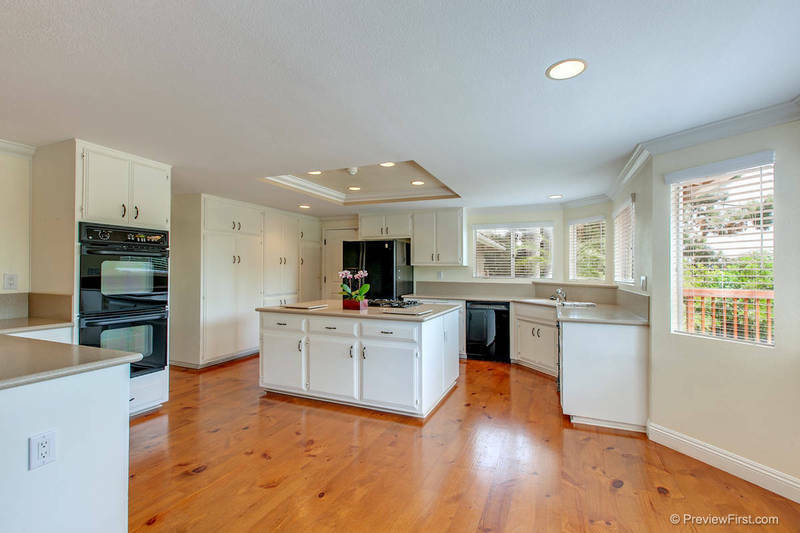 The bright and spacious kitchen with solar tubing has a large center island with cook top, lots of cabinets & storage and sleek Corian countertops. 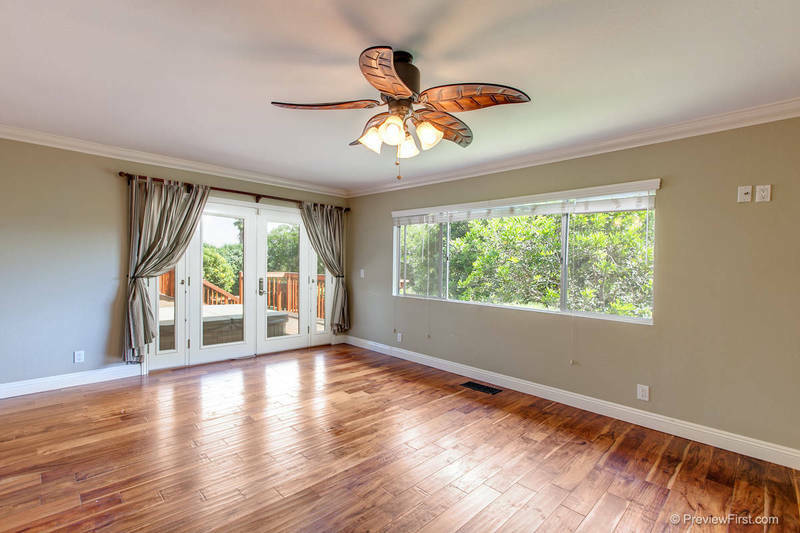 Enjoy views onto the backyard and pool from the breakfast area with bay windows. 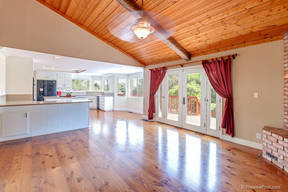 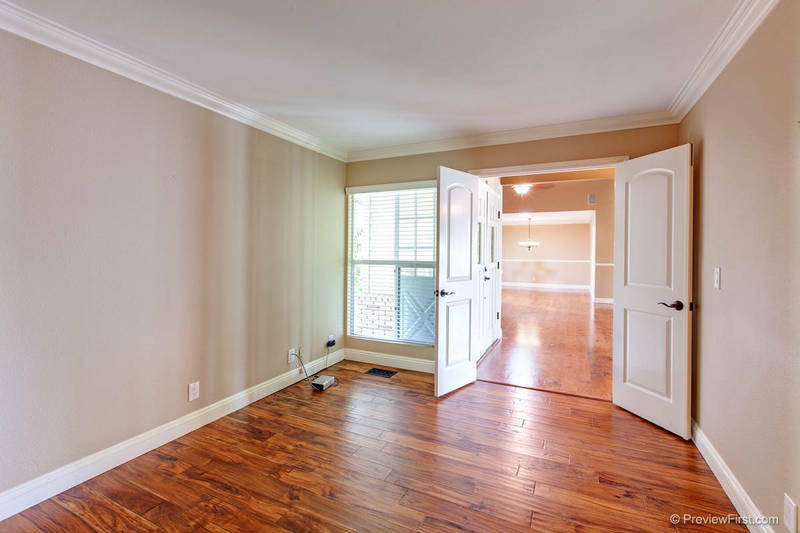 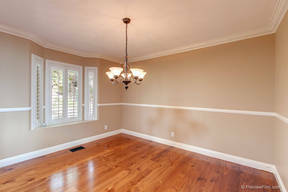 The windows have wood plantation shutters and wood blinds and there is wood flooring throughout (pine, hickory & oak). The living room portion of the great room looks onto the lovely front yard pines and connects with a formal dining area. 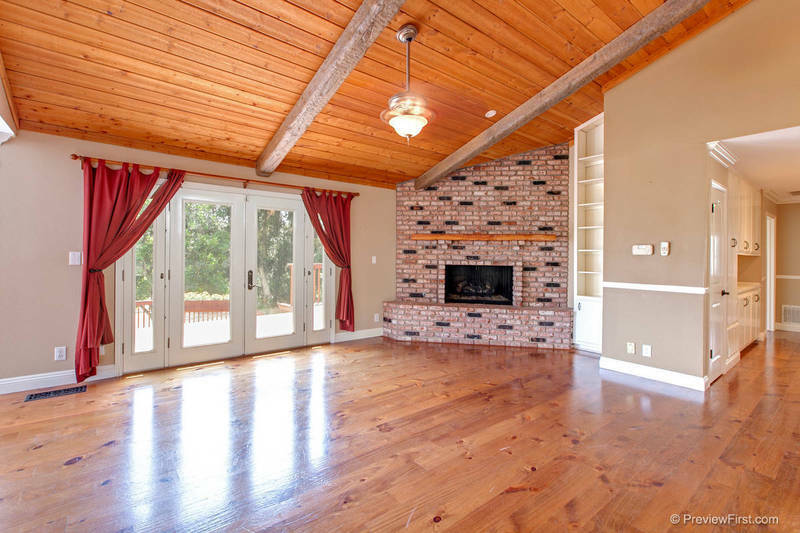 Enjoy cozy fires in the floor to ceiling fireplace with handcrafted oak mantle in the family room area of the great room. 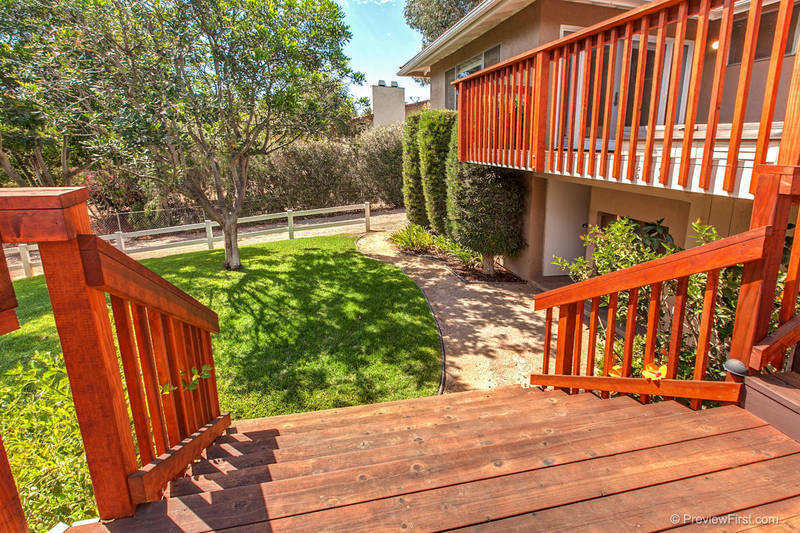 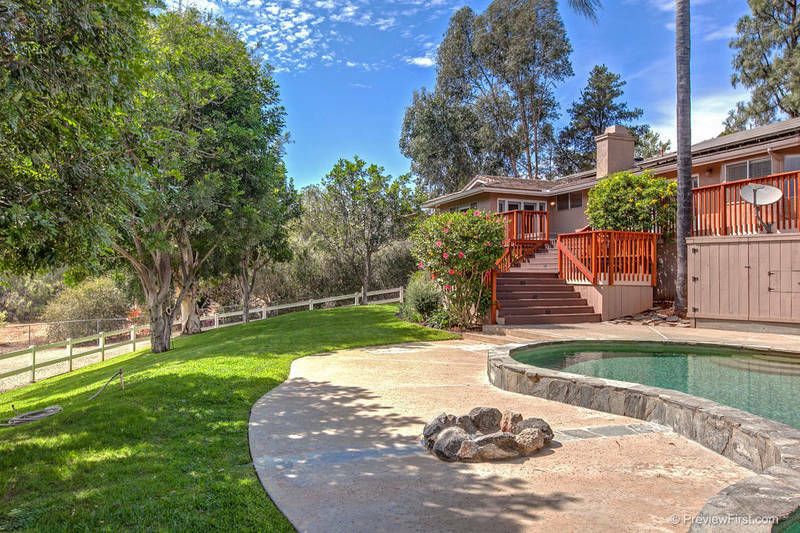 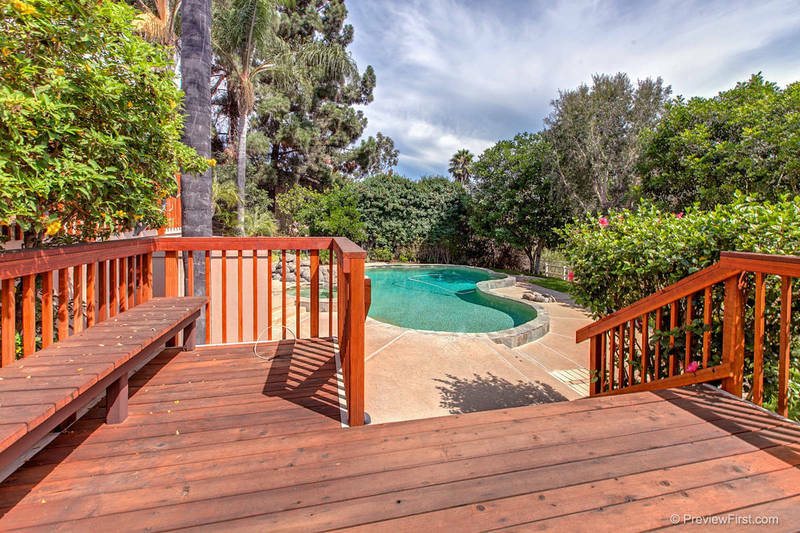 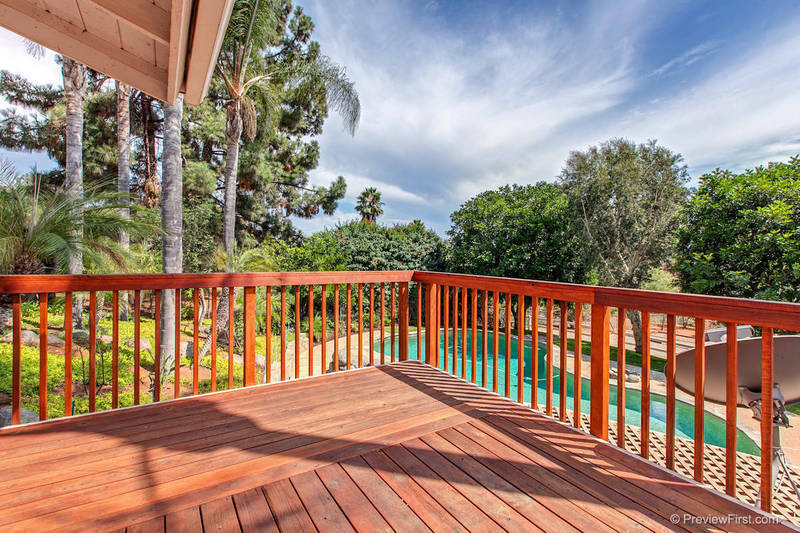 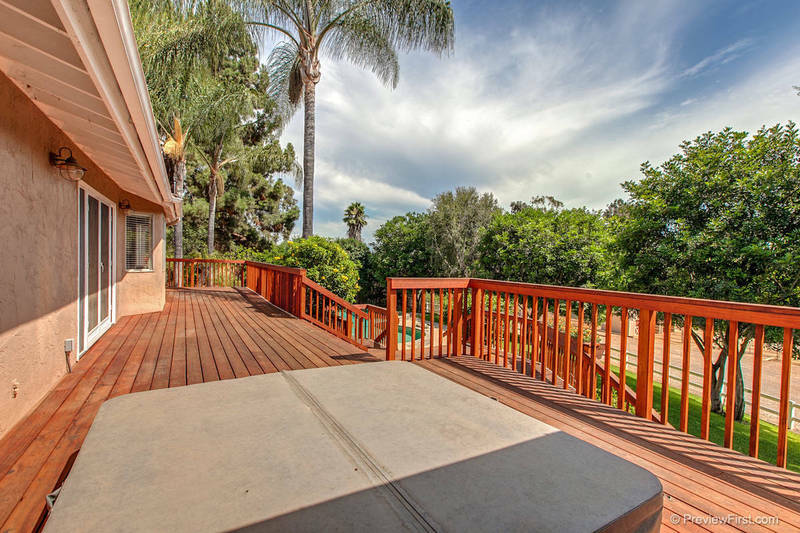 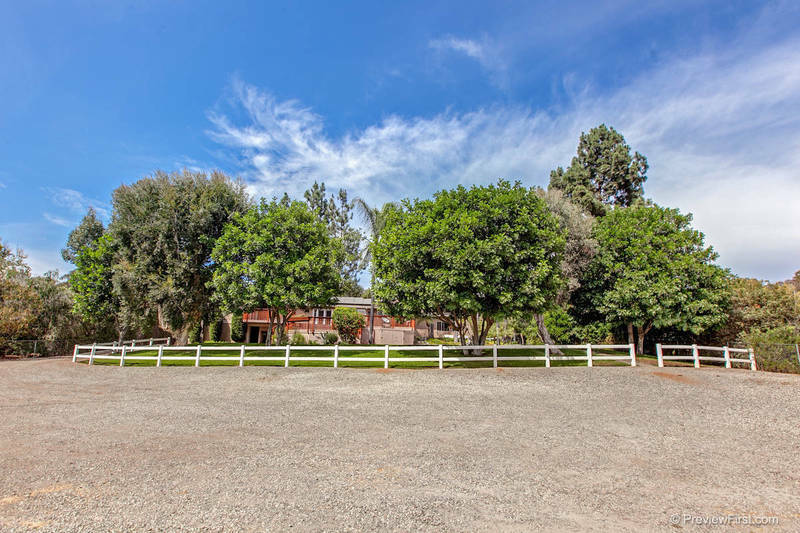 Step out onto the expansive deck with views of the pool, yard and horse facilities. 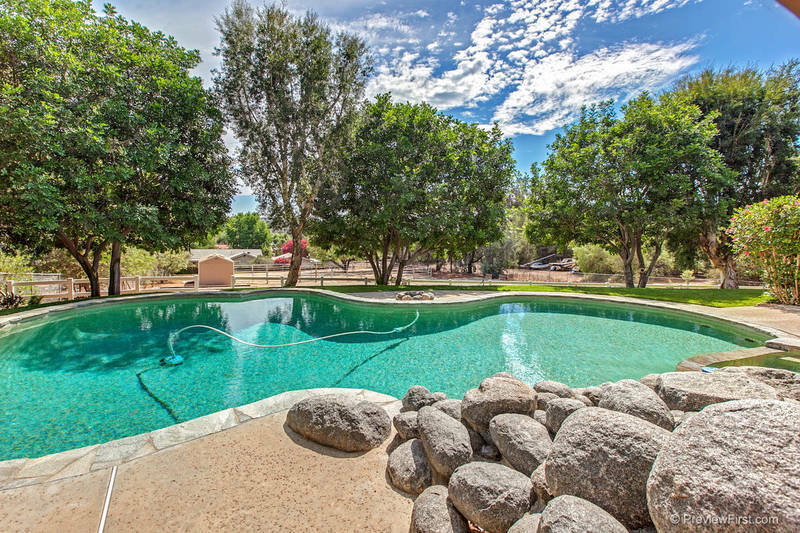 The pool and spa (built by Mission Pools) have a Pebble-Tec surface with natural rock waterfall that fits so naturally into the country setting. 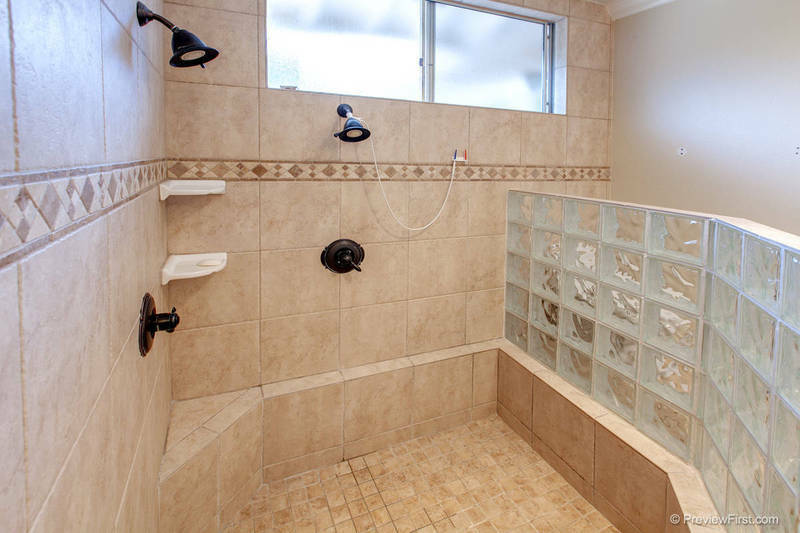 The pool and spa are gas heated. 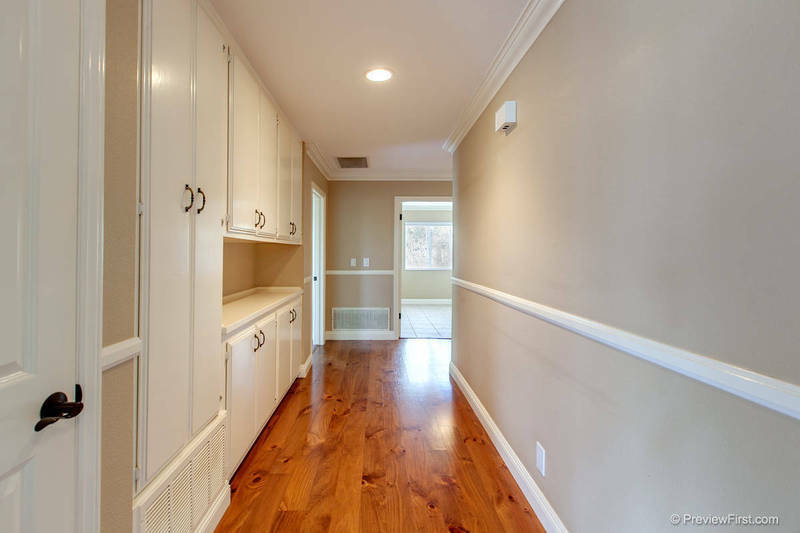 Under the deck and the house there is room for lots of extra storage. 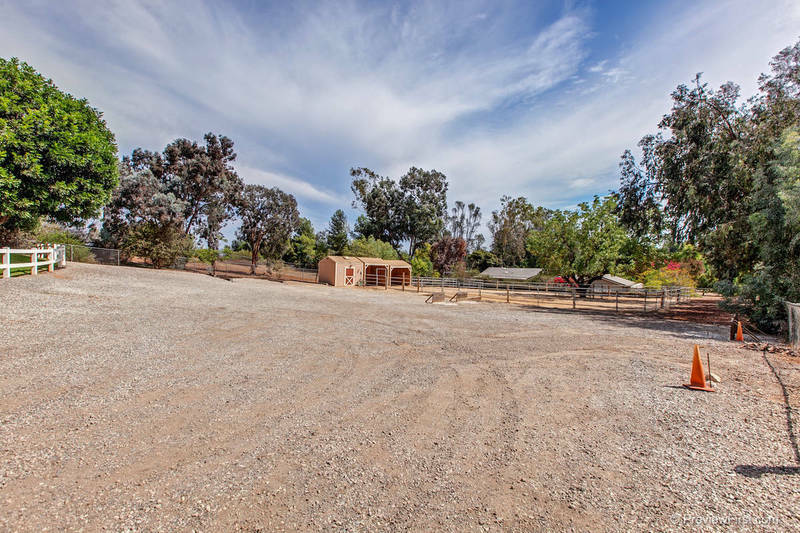 There is even room for an RV with hook-ups! 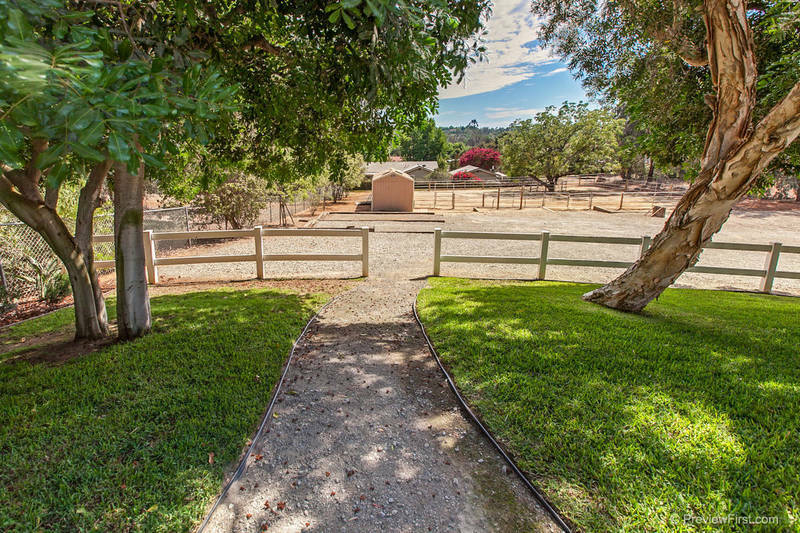 From the home and deck, also enjoy Views from your to the horse facilities with easy, level access so you can take your coffee and wear your slippers to feed in the morning. 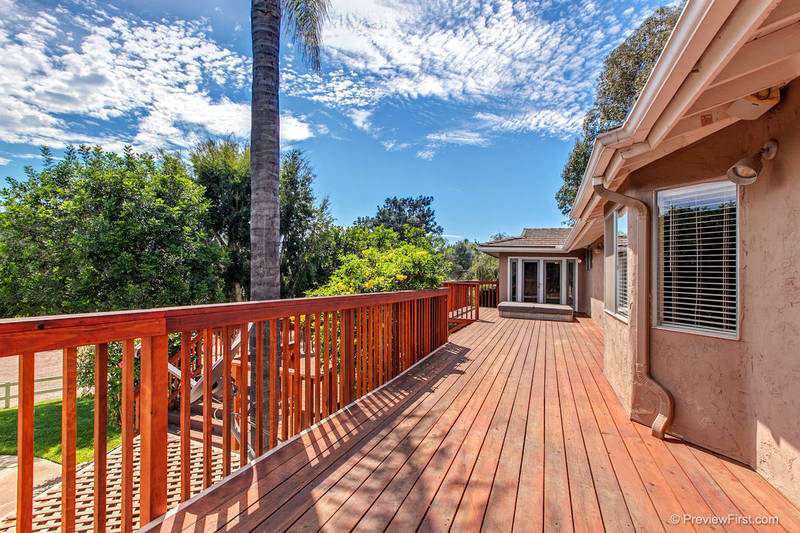 The master retreat opens to the deck and features an extra large walk-in closet with custom built-ins and has a sunken shower in the master bathroom. 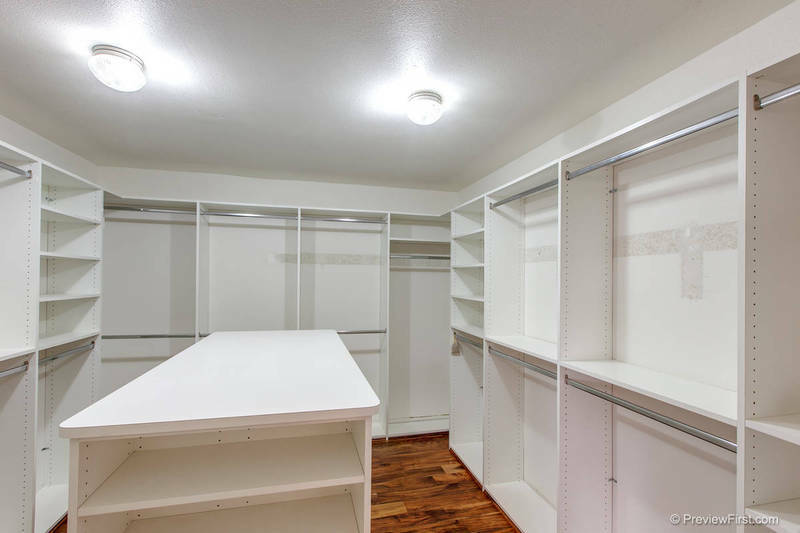 The extra wide hallways and large laundry room have convenient built in cabinets for even more storage space. 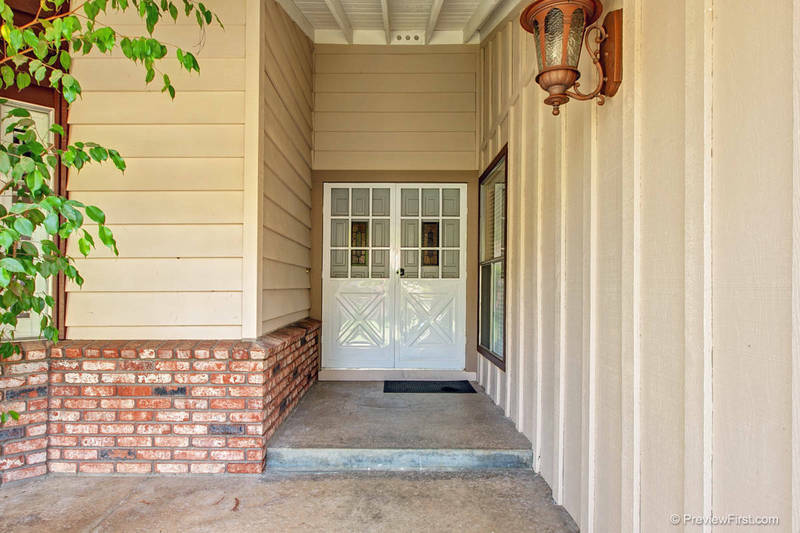 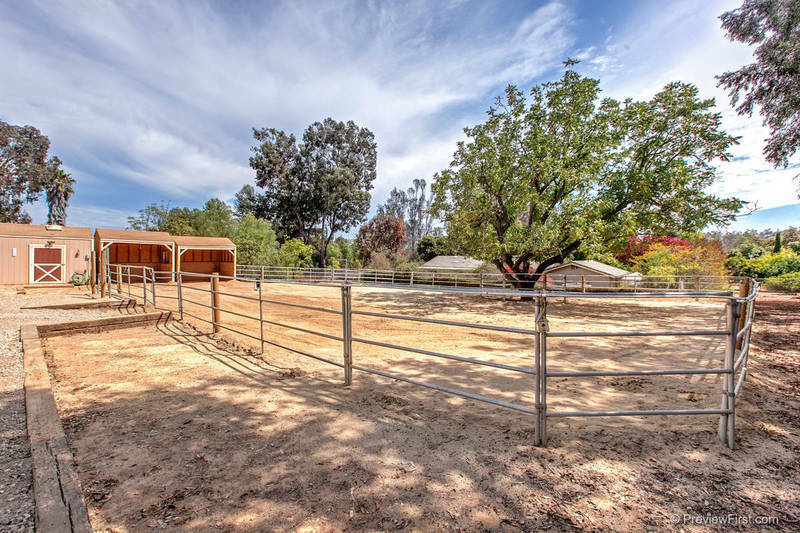 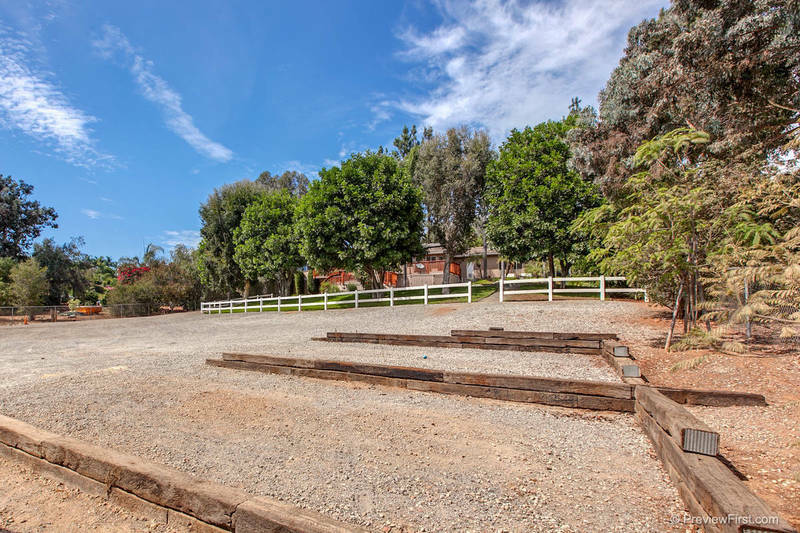 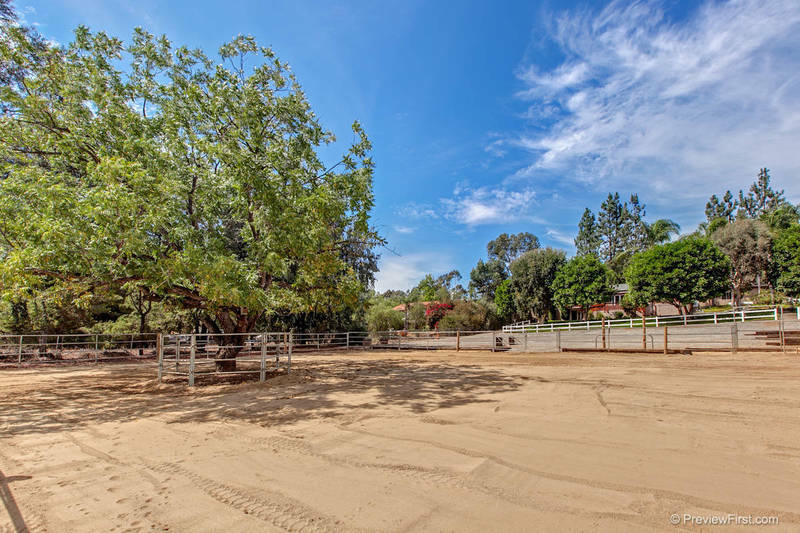 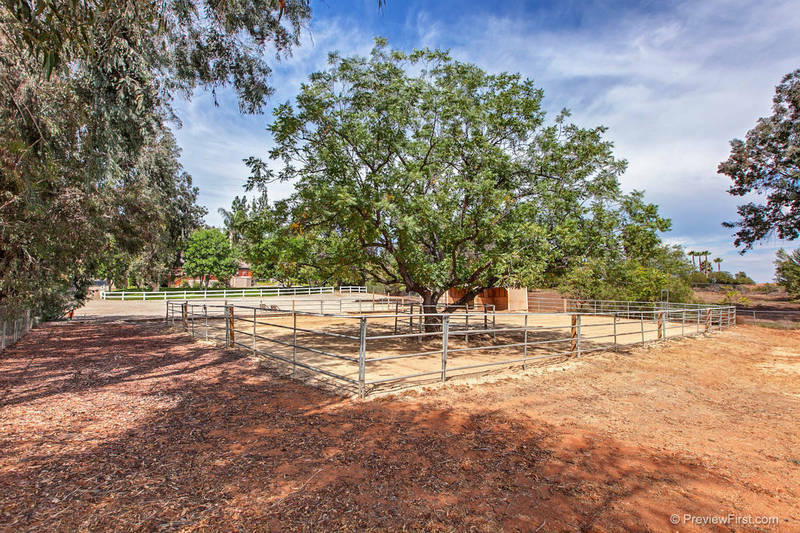 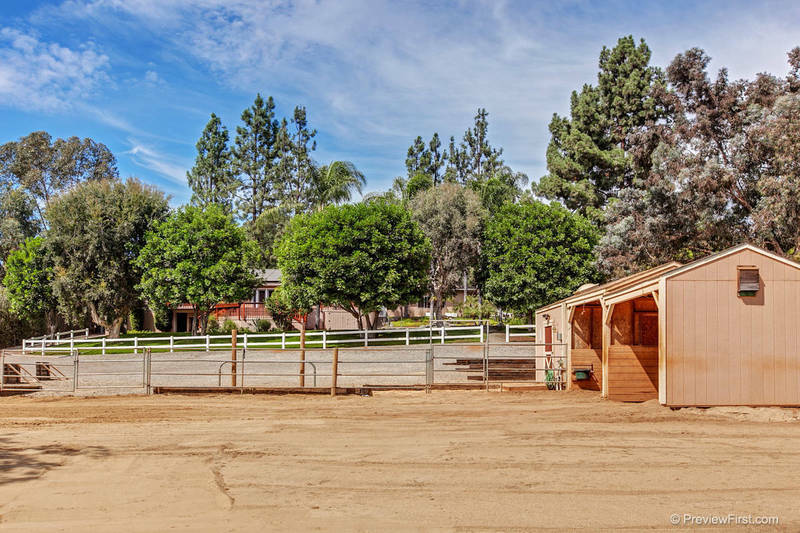 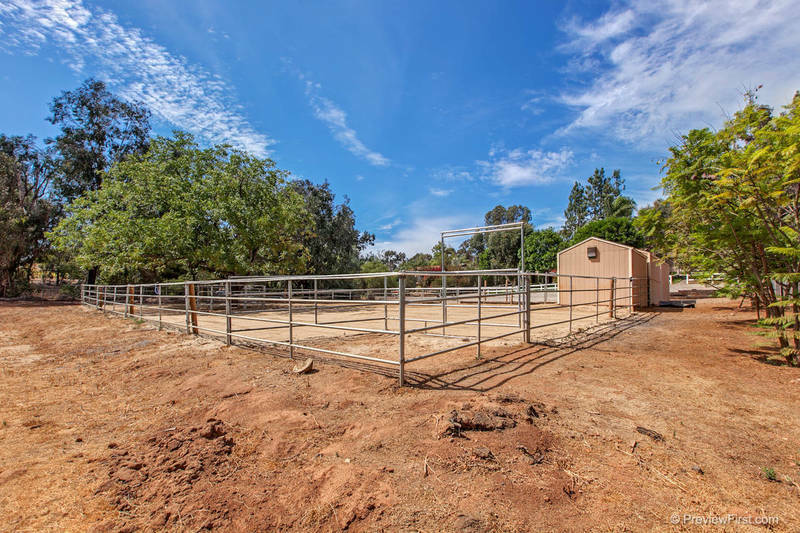 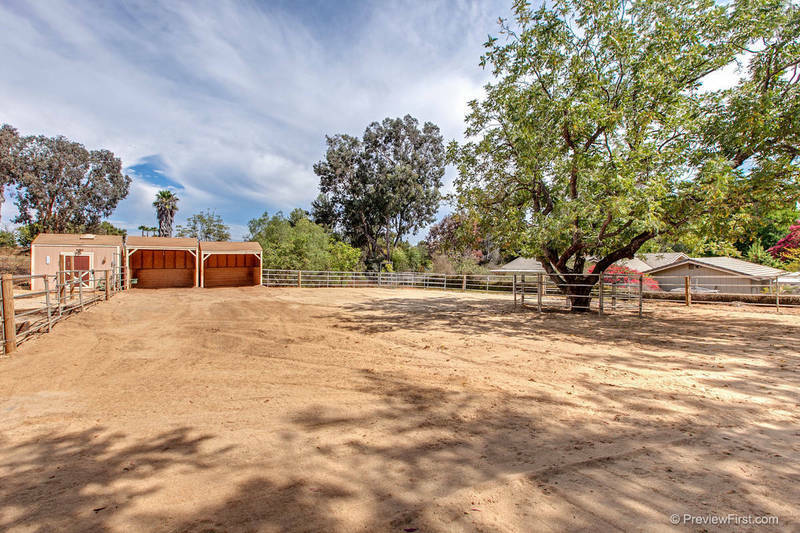 You can't ask for a better location...it is one of the few areas where you can live in the "country" on an acre of land with your horses and be just minutes from freeways and shopping. 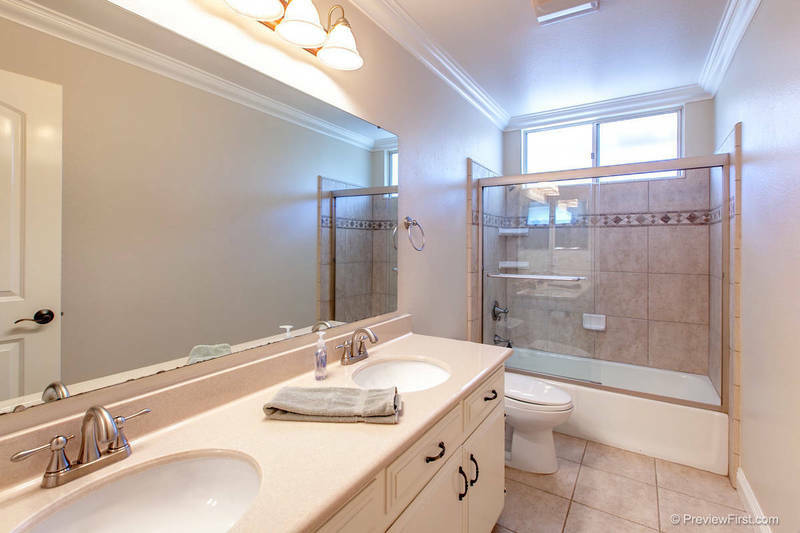 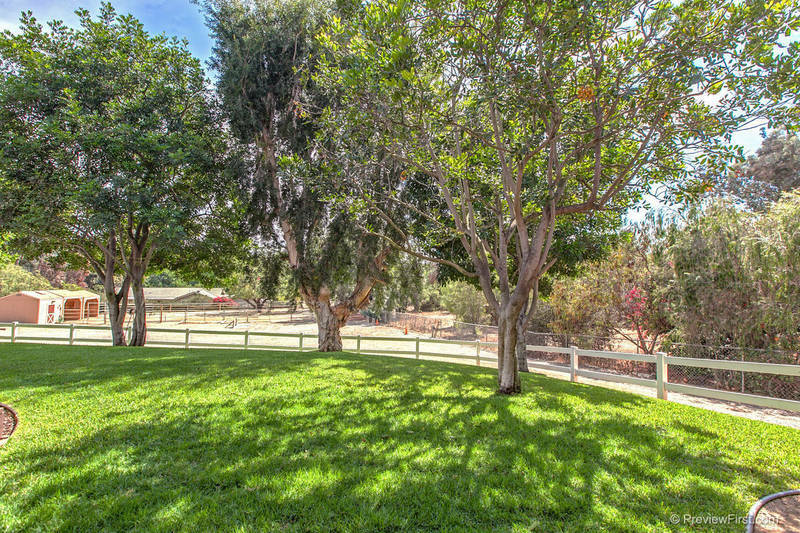 Close to Lake Hodges, The Vineyard Golf Course, Kit Carson Park. 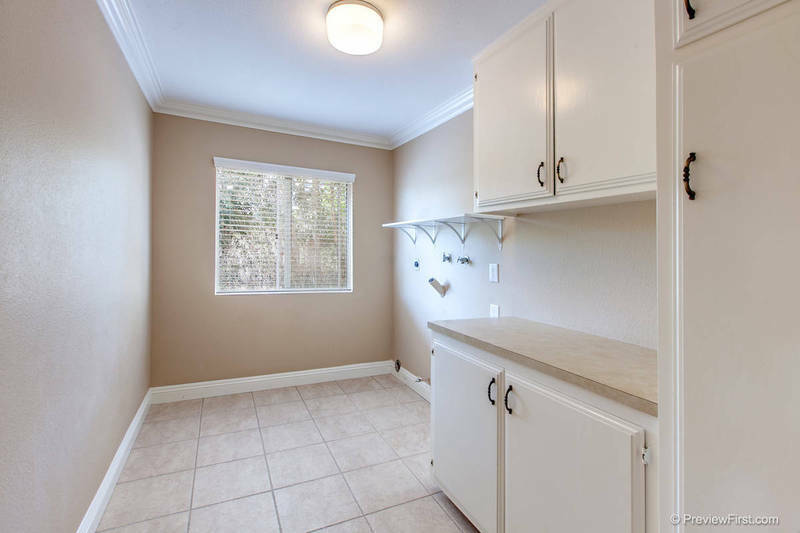 Entire home on Solar System ($30k VALUE).